When I listened to Tim Minchin’s ‘Drinking White Wine in the Sun’ on Christmas Day 2016 in Switzerland, I cried. I love Christmas. The weather gets hotter, the days become longer, and fresh seafood never tastes as good as on Christmas Day. I love buying and receiving gifts, decorating the Christmas tree, eating advent calendar chocolates, listening to Christmas carols, and I love getting together with my whole family to celebrate. When I spent my Christmas in Europe whilst on exchange last year, I realised just how important some of these elements are for my own annual Christmas experience. Now, don’t get me wrong. Christmas in another country is an incredible experience. Mine was spent in a little town in Switzerland with the family of my best friend who came on exchange with me. We spent the day cooking yummy treats and stuffing ourselves with them, opening presents, drinking Prosecco and singing carols. We took a walk around the semi-frozen lake, threw snow at each other, and had a generally wonderful time. It’s a day that I will truly treasure forever. At the same time, it was so very obvious that I was spending Christmas with someone else’s family, and not my own. My family would have made different food in a different way and spoken about different things, kept to our own traditions and done everything that was familiar to me. Instead, we did those of another family. 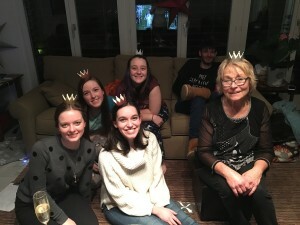 And while I will always be grateful for that beautiful Swiss Christmas, my happiest moment was Skyping my family at 10am Swiss time; seeing them crowded around the computer, my uncle David in his Santa hat, cousins eating watermelon and mango as they had just finished Christmas dinner (time differences, am I right?). I heard someone yelling as they got someone out in the cricket game going on in the background, Granny and Grandad’s voices coming down the phone line. My family is what makes Christmas the best time of the year. If I really think about what felt like Christmas last year, it happened about two weeks earlier. I was on exchange in England, so the Christmas season begins roughly in October – and when I say it begins, I mean in the type of way that would make you think that Christmas day is tomorrow, and not three months away. 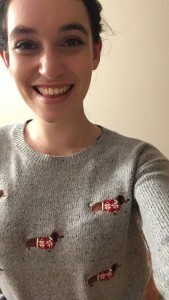 Lights are up, carols are blaring out of every available speaker, and every store has a delightful variety of ugly Christmas sweaters to choose from – I had little dachshunds wearing tiny Christmas sweaters of their own on mine. It was a wonderful time to be in England. As the weather grew colder and nights grew shorter, many of the traditions we follow in Australia, like cooking up several types of heavy meats and devouring them on a blistering hot day, make a lot more sense in the UK. was lucky enough to be studying with both my best friend and my boyfriend, a little taste of home on my big adventure. I had also made close friendships with my flatmates, and we decided to have our own celebration before we broke up for the winter break as I wouldn’t be returning for the next semester. 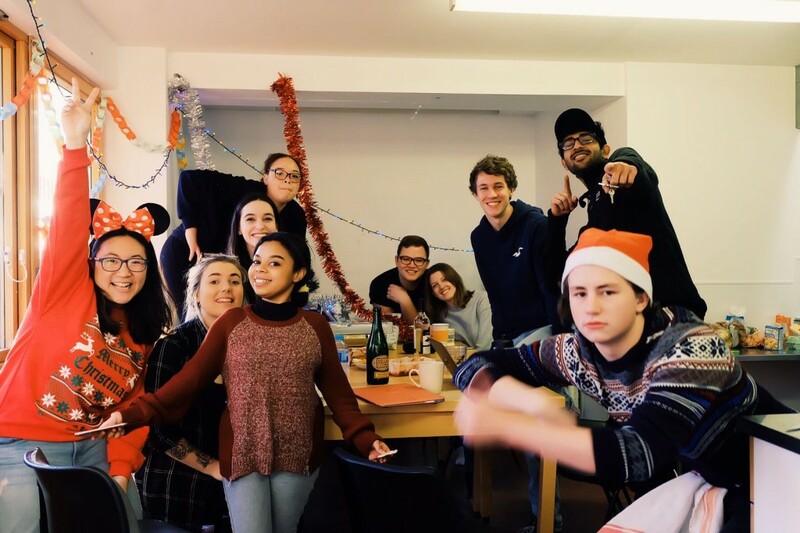 Our early Christmas was one of the happiest days of my exchange; we did a Secret Santa, had a miniature tree, spent hours hanging lights that just kept falling down, and eventually succeeded in cooking a turkey in our microwave oven. It was delicious! I made the chocolate truffles that I make every year at home, and it’s really hard to discern between and English roast and an Australian roast – except for the lack of prawns and fresh seafood and the presence of Yorkshire puddings. My flatmates decried the eating of prawns in the winter, saying it would feel wrong to eat them in the cold season; I reminded them that this is how a roast feels on a 35-degree summer’s day on Christmas day in Australia! There was no cricket in the backyard, no swim in the pool in the afternoon, but I did feel like I was surrounded by family. In many ways, this was my Christmas Day overseas. None of us had our own family there – so we became each other’s. My Christmas overseas are memories that I will always treasure, and I hope that over the years I will spend Christmas in many parts of the world. But for 2017, the plans have been made to do exactly as we always do – and I can’t wait.